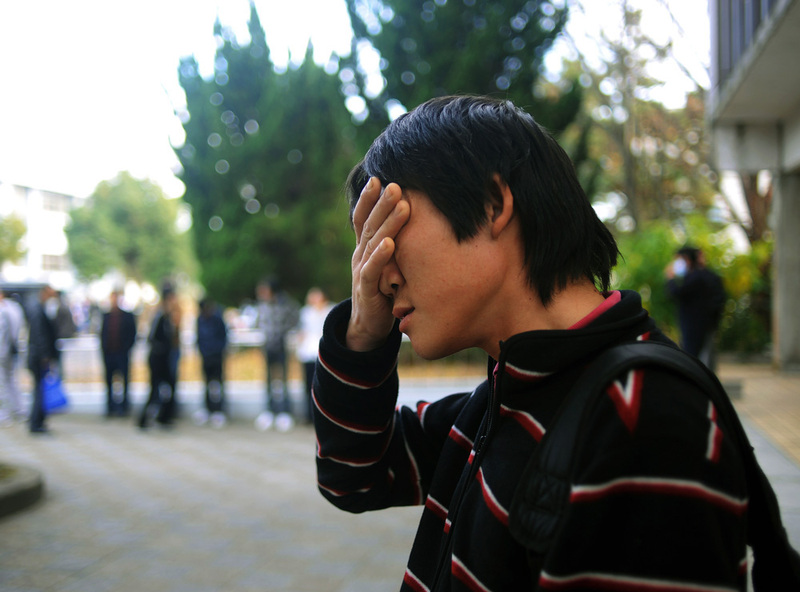 Li Chuan-hua takes a short intermission break during the Japanese Language Proficiency Test for Level 1 at Mie University in December 2010. "Reading section in the test was difficult. I am not sure I pass the test this time," said he. He passed the Japanese Language Proficiency Test for Level 2 last year.The test takes about 4 hours.